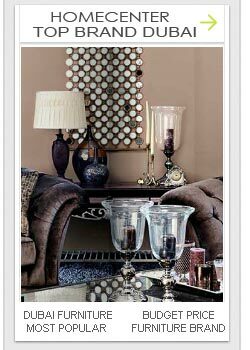 @ Home Dubai is a South Africa's leading home ware store operating since 2001. It has 58 stores altogether in its home country and is expected to expand to 70 stores. It offers glamorous and fashionable range of products for the entire home, which includes bedroom, bathroom, kitchen, dining, living room, general home decor, home appliances and office accessories. It provides fresh, innovative eco-friendly products. It also provides personal service that makes it easier to shop for special occasions such as engagements, weddings and housewarmings. 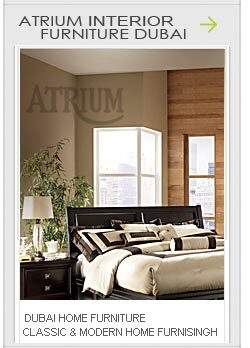 It not only provides home ware at affordable prices but also offers quality and credibility for the products. @ Home Dubai stores are located in Dubai in Mercato, Ibn Battuta Mall, Dubai Marina Mall, The Dubai Mall and Mall of the Emirates, Al Hamra Mall in Ras Al Khaimah, Al Barsha, and Jumeirah. @ Home Dubai offers variety of collection depending on its season. People in Dubai have an easy access to stores in Dubai, as they are located mostly in all shopping malls. @ Home Dubai Store is also offering unique collection of organic bamboo kitchenware and bamboo cotton bedding and towels. The most attractive feature of @ Home Dubai is that it offers their customers with new varieties, depending on the seasons. At the moment, they are offering winter showcases, modern styling designs representing fresh, clean colours, and beauty of nature. It also represents region No 1 brand to carry out Australia’s number 1 Appliance brand known as Breville. @ Home Dubai was introduced in Ibn Batuta and Dubai mall as a part of franchise agreement between Al Tayar group and the Foschini Group. It also offers all types of signature brands in Dubai targeting all kind of people. Some Of the Signature brands include- Joseph, irresistible, breville, salt, and pepper etc. It has also contributed in celebrating love party (Valentine’s Day) associated with Studio 8 in Dubai. 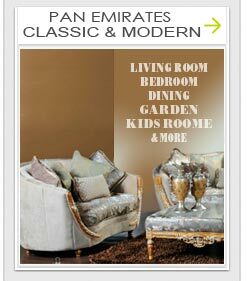 The Best thing about @ Home Dubai is its participation in all kinds of occasion as Valentine’s Day etc. Not only this it offers spends and save promotion during Eid and other occasions by introducing variety of utensils and cutlery. Thus, it has attracted variety of customers in Dubai. Gradually when it experienced popularity, Sooner or later they opened up a new store at Abu Dhabi. The Manager of Al Tayar announced the new opening of @ Home Dubai in Abu Dhabi by introducing fresh and renowned designs to their customers. Thus it has captured the Middle East bringing the store to seven. At the moment, @ Home Dubai in Dubai Marina Mall is offering fun morning or imaginative craft on the launch of imaginative home collection from 30th April onwards between 10am to 11:30am. It is basically a ‘Decoupage’ Art workshop enhancing skills as to how to transform everyday accessories in to work of art by DIAC. Thus, @ Home Dubai has played a vital role in Dubai since they keep their members and customer active by proving activities of all kinds which keep their customers attracted. Not only this, they kept on introducing new creations in different styles to cater the needs of their Dubai customers as Dubai customers are keen interested in new varieties.